The best way to make any residential move successful is through proper planning and preparation. When you have a plan set out for your move, everything proceeds a lot more smoothly and you’ll find that you won’t experience the type of stress typically associated with moving. But not all moves are the same, preparing for a local move is a lot different than preparing to move long distance. When you know that you won’t have to opportunity the make several trips to and from your old home or return to retrieve something you forgot, you must plan everything more carefully. Despite the fact that long distance moves take a little more planning, preparing for them doesn’t have to be difficult. In fact, since we’ve been in the moving and storage business for more than 25 years, we’ve developed a lot of techniques and strategies to help make long distance moves go more smoothly. So whether you’re moving from Virginia to Pennsylvania or moving clear across the country, these four simple tips can keep you stress-free during your long distance move. Contact relatives or friends living in or around the area that you’re considering moving to. They are likely to know all about schools, shopping, local attractions and other important information about the neighborhood. Use Google searches, Google street view, Zillow and other online tools to learn more about how your new neighborhood is rated as far as safety and access to nearby essential services. Pack as Light as You Can – When you’re preparing for a journey that will take you across hundreds of miles, less is more. One thing we’ve learned in our time as long distance movers is that people often try to transport items over a long distance, just to discover that they really have no use for them at their new home. Our advice is to think carefully about what you use on a regular basis and try to limit the number of items that you will be transporting. It’s essential to keep in mind that the bulk of moving costs are accrued through distance traveled and the weight of the cargo on the truck. Since you can’t change the distance between the home you’re moving out of and the one you’re moving to, the easiest way to save money is to cut down on the weight of your cargo. Having a garage sale, selling unwanted items online and making charitable donations can, in some cases, can save you hundreds of dollars in moving costs. 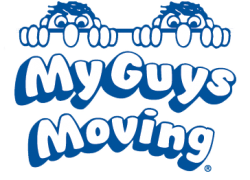 And when you’re cleaning out the pantry, don’t forget the My Guys Moving & Storage of Virginia Beach is more than happy to make donations of canned food items to the Central Virginia Food Bank on your behalf. Storage Options – Storage can be a big help to anyone moving across the country or across any long distance. People often find that they need to store furniture and other items while they figure out exactly how they want to arrange their new home. Sometimes people find themselves moving into a home with less space, or one that comes with features and amenities that may eliminate the need for certain items, there’s no need for a lawn mower when you’ll be living in an apartment complex for a year. Whatever the situation, your movers should be able to provide you with long and short term storage options. It’s Never Too Early to Get Started – When you’re traveling long distance, planning ahead and giving yourself time is vital to making things go smoothly. We recommend using a day planner or Google Calendar to make detailed plans for the weeks leading up to your move. Allocate time for work and class projects, medical appointments, family dinners and even throwing a going away party. Also, remember to call and coordinate with your long distance moving company as soon as you have an address for where you’ll be moving too. Giving the movers plenty of lead time will help ensure that you can work an effective plan of action for moving day. These four tips may not seem like a lot, but following them will help ensure that you’re ready for your long distance move. For more moving tips and advice, be sure to check our blog page regularly.